Who has time over the next few days to test EBF3 on Steam? I’m ready to give out some early keys. The game should be 100% ready for release, unless you guys find something that doesn’t work. Make sure the achievements and Steam overlay work, play a while, check the links, comment on any of the new features you notice, etc. This entry was posted in Epic Battle Fantasy 3 on August 28, 2016 by Matt Roszak. I think i can test this game. But what concretely do you need to test? Just play it for a few hours and try out all of the features. Get it. I’ll do my best. I can test the game..
I’ve got some free time to mess around with it. Not much, but probably enough to test most things. also do we need to get all achivemnts/onepic or can we play it however? Try to test as many things as you can. also when will you send me the email? sure, ill be willing to play…… i got nothing else to do…. Why not? :) I’m a big fan of your games anyway. In the 2 hours or so I played, Steam Overlay and achievements work properly. The new options work as intended as well, no problems so far. One slight peeve, not sure if bug, is that the achievement icons do not fill the entire space of the image square within the Steam application. I believe it the images are scaled properly when you do obtain them in-game. I noticed only one defect – i can’t quit the game by pressing Quit in main menu. Anyways i’ll be willing to try it. I can test it, just need to know what I should do. do you need to play it all on one sitting? also can you tell me how to get all medals pls or can i skip most of them? Yeah I’ve got time to test a game I love! Oo, I’d love to test any and all difficulties, if you still need testers! If you are still needing a few more testers, I’ll be willing to help. It’ll be interesting to see how well EBF3 has aged, when compared to my nostalgia for it. The music I’ll definitely look forward to though, and some of the older equips. If this helps out the development, I’ll try too (Of corse if you want and there are still keys). I’m a big fan of this games and this one was the first one I played. Thanks you very much for keeping on the development of this games. I’m fine with testing it, I should be able to play it for most of the days until release. I’m happy to help if you need any more testers. 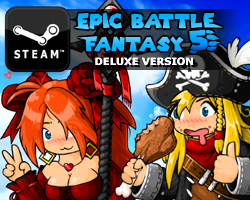 I’d love to be able to test how EBF3 works out on Steam before it’s official release. Love to help with testing if you need more to help. Oh, I would love to test this game, I’ll try to play it on epic, though. I’m able to test every day until the release date btw. If you still have some keys left, I’d really like to test (well, if it’s playable on mac at least). I’l test if you still need some people. I got spare time in the afternoons. I could do that, achievement hunter style. I’ll make time to do it if I have to I’m so hyped!! I’ll do it all day for a few! Yo, I’ll test it if you have any more keys. Anything specific to do? I would like to test your games. Been in love with literally all of them and i would love to lend a hand! If you need someone to test it, i can do it, since i have a lot of spare time. Btw, how should i report any bugs, if i find one? You can just comment here or email me back. Twitter is good too. Sounds good, I can play through the game on epic and test out as much as I can. I would be delighted to test it out. Sure thing, count me in! I don’t have a job so i’m open 95% of the time i’m awake. CERTAINLY! Tell me when the test mode is avaliable. If there are still any tester openings, i’d be delighted to test the game. I’ve helped beta test a hand full of games before, and being this game series is among my favorite, and the ungodly amount of free time I have, it’s a win for everybody. I can full clear the game, get all achievements, ect more than likely within three or four days of getting it. It’d be an honor and a privilege to help out with the development of the game, and i’d love to see what’s new. It would be an honor. I can’t remember any glitches, but I’ll do my best to find them. P.S: Loved the old blood sword design and powers. Can the old blood sword return for Ebf5? I apologize if that is a bit too much. I love the series, so I can’t wait to play it. I could help test if you have any keys left over. Been a while since I played EBF 3. It will be nice to try it again. Just at the right time when i do have a few days to do nothing! It would truly be an honor to test the game. Still any room for late testers? Wouldn’t mind testing the game. I Wish i can have one! also; Thanks for everything about this game; it is quite unique and fun. I Really not like turn-based games; but someway i liked this one, his art, his story they really nice. I’d like to test if there are still keys. I thoroughly enjoyed the EBF series and I remember playing through each one back when they were first released. If you’ve still got any keys left I’m super interested! I’d love to go back to the game that introduced me to your stuff. Hey man , I ‘m Brazilian , but I speak English , so give me keys I need KEYs my precious!!!!!!!!!!!!!!!!! I want to be useful! Early Keys for EBF3 ? I want one ! Seems like a lot people really want to test out EBF3 on steam,and,actually,im one of these.I really happy that EBF3 is coming out on steam and would be happy to test it out. The only thing is where do people need to respond if they find something(well,maybe im missing something)? I do love the EBF series, especially 3&4. If you have any more keys, I’d be happy to help, but it’s okay if you don’t. Just wondering, how many were/are there in the first place. lol. So, yeah. Hope there are still some keys left, really hyped about this! For due diligence, I’ve posted here as well as on twitter. If it isn’t too late I’d like a key for testing. whyis it that in most of the battles there isnt battle music? If you still have any, then hell yeah! I wanna play EBF3 again, but not on a browser this time! hey, ive played all your games since the beginning and love your work keep doing what your doing! Hope you have some left! I can text it.Please give me steam key ! Hey if it’s still open I’d be happy to test it out and see if I can find any problems or bugs or even just spelling errors. I’ve been playing the Epic Battle games for years and would love to be a part of the testing for this one. I would have probably said something on here sooner but I was working all weekend. I’d be glad to test this game out on Steam! I love experimenting with games. 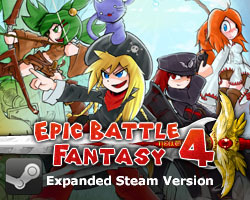 I would love to test out EBF3, I really want to complete the game on Steam as I have completed nearly everything in the Kongregate version. Some minigames were too difficult for me, though. i hope I’m not too late, though. Feel free to send me the key any time. Although, it might take me a few days until I can redeem the key. My main computer is broken, and I’m not allowed to download Steam on the computer I’m using. I would love to beta test as i’ve just completed ebf4 on steam. If you still need more people, I would love to help! I’m definitely down to help test the game! Just let me know if you need me to! I’d love to be a tester for this awesome game. I’d put a lot of time and effort to search for those nasty bugs.